The Gonstead System of Chiropractic established in 1923 represents arguably the ultimate standard in “hands on” spinal adjusting and the leader in Chiropractic techniques due to the lengthy training a Gonstead Doctor recieves. Not only does a Gonstead Doctor complete a 5 year University Degree and Masters in Chiropractic Sciences like every other Chiropractor, but will intern for a further year and have to take at least several seminars in the USA every year to maintain his/her standards. Dr. C.S. Gonstead (1898-1978) developed the Gonstead technique. Known as the “Chiropractor’s chiropractor”. He used his background in mechanical engineering and knowledge of the nervous system to develop a specific, thorough, definite approach of analysis to every segment of the spine. Analysis includes instrumentation, digital palpation, motion palpation, visualization and x-ray. Chiropractic care goes far beyond a simple system of “putting vertebrae back in place” at the Gonstead Clinic. It is rather, a scientific program of carefully analying the patient and their health problems on the basis of available information and then deciding on the proper corrective steps. The Gonstead adjustment is given with care and specificity; only the problem areas of the spine are addressed. The specific adjustments help return the spinal joints to their proper position and motion resulting in proper nerve functioning and improved health. Gonstead adjustments are incredibly safe. 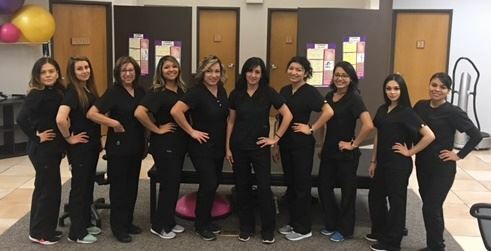 Our patients range from young infants and children to the old aged, pregnant women, celebrities and professional sports people . The specificty used in the Gonstead system allows for the greatest possible effectiveness and safety.